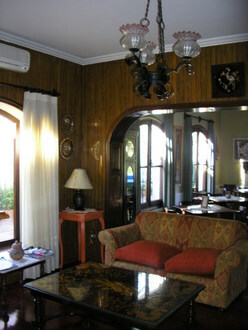 La Candela is a beautiful 12 room colonial inn that has a quiet garden, pool and view of the mountains. 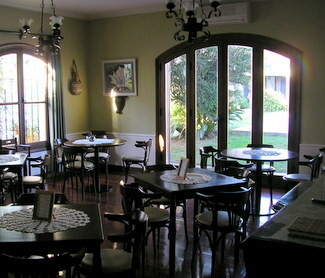 A comfortable lounge decorated with Andean art serves coffee, tea and drinks during the day and evening. The glass walled breakfast room looks out onto the garden and pool. The rooms are comfortable with modern baths. 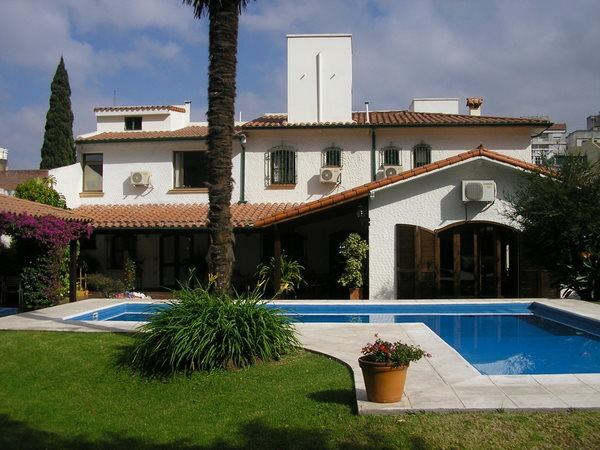 It’s well located in a quiet residential neighborhood just five blocks from busy Plaza 9 de Julio. The staff is friendly, multi-lingual and eager to help you with directions and recommendations. Doubles range from AR$171-$266 (US$45-$70 including breakfast). A separate 2-bedroom garden apartment is available on the pool level. Hotel del Antiquo Convento, is equally superb with its thick old convent walls blocking out street noise - it's within a couple blocks of Plaza 9 de Julio. Most rooms overlook the attractive courtyard with its small pool but sizes and views vary, so ask if your room has a view of the courtyard. Doubles average AR$228 (US$60). I experienced only the lobby of Hotel Almeria while dining in Restaurant Darrical and what I say was enviting. 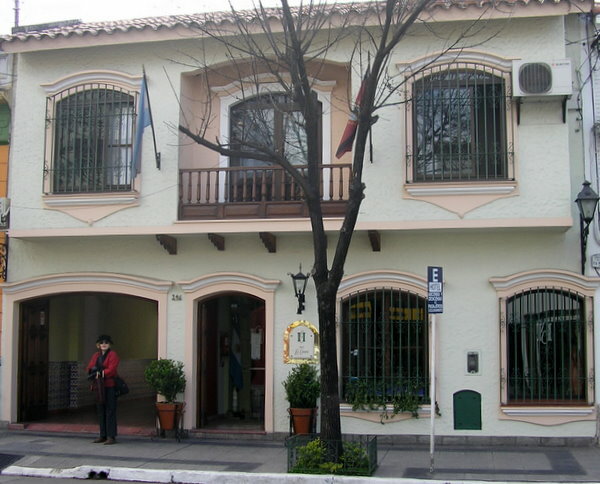 Argentine hostels are generally comfortable and very friendly. Wi-Fi is usually provided as well as adequate kitchen and storage space for guest cooking. Lounge areas are usually comfortable, well lit and conducive to conversation with the international mix of guests which makes hostel stays a nice choice. Hostel Los Cardones is friendly and clean, but it does need improvements. The mattresses are a too thin and the bedding definitely needs upgrading. The bedding is clean but very worn. The kitchen facilities are not adequate. There are a couple of ancient gas burners, no oven and a laundry-type sink. Kitchen cook ware was virtually non-existent. The lounge areas were divided into two areas - a fairly pleasant covered section of the large inner courtyard that included the bar, and a very dark interior area with tables for breakfast. This was the only location Wi-Fi was available. I would recommend Hostel Los Cardones if traveling by oneself, but not with your wife. Salta does have a number of moderately priced, beautiful small hotels. Of course, hostels do have the camaraderie that lovers of travel enjoy and hotels often lack. Our double room, shared bath, was inexpensive, but other hostels in Argentina at the same price did offer better accommodations, AR$79.50 ($21.00) per night.